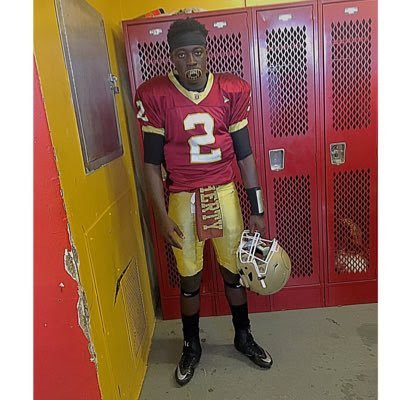 Less than a day after announcing on Twitter that he had been suspended for kneeling during the national anthem of his team's opener, Doherty football player Mike Oppong has said the suspension has been "terminated." As we reported in our Weekend Wrap, the junior claimed he was suspended by his principal and his coaches after taking a knee during the anthem at Doherty's opener against Leominster. Worcester Public Schools Superintendent Maureen Binienda released a statement saying Oppong would not be suspended, though she never mentions if there was an initial suspension that had been rescinded. "The Doherty student did not violate any school rule when he peacefully and silently protested during the national anthem," the statement, first published by the Telegram & Gazette, reads. "He exercised his Constitutional rights without disturbing the school assembly and he is not being disciplined by his actions." Oppong maintains that he was initially suspended, or was at least told that he would be suspended. "Yes I was told I would be suspended," Oppong confirmed in an online message. Still, Oppong isn't sure if the immense support he received on social media is the reason for the apparent overturn, but this morning he publicly thanked those who supported him anyway. It's still unclear where the initial suspension came from, or if it was official and finalized when Oppong was told about it. Oppong said the suspension came from his principal and his coaches, but it's unclear if it came from anywhere higher than that. Even if it did come from the coaches and principal, it's unclear which side made the actual decision to suspend him. We don't know who was driving the bus, if you will, in those conversations. Also, his wording that he "would be suspended" leaves a little room open for interpretation. Did someone tell him he would be or might be suspended, when the decision to suspend him hadn't been finalized or approved? Superintendent Binienda is implying that Oppong was never suspended in the first place, but then why the radio silence last night? It's possible she just wasn't aware of the social media firestorm going on. After all, not all of us live on Twitter, but this looks like a situation where public reaction altered the school's decision. Numerous people and groups were posting the phone number for Doherty Memorial High School online, and calling for followers to call them about Oppong's suspension. From the outside, it looks like Oppong was suspended, and then, when faced with an overwhelming public backlash, whoever made the decision changed their mind. I'd say that was probably the right call, as Oppong was protesting peacefully and respectfully, and not disrupting anything (as Binienda said). There is, of course, still the issue of a racist group chat involving players from at least one other school reacting to Oppong's decision to kneel for the anthem. Screen shots of that chat are still making the rounds on social media, and it will be interesting to see if those players are suspended this weekend. On the field, Oppong is also off to a nice start, as he rushed for a touchdown in the closing moments of Doherty's loss to Leominster. This will definitely be a situation/player/team to keep watching as the year goes on.